Cozy Contemporary 1 Bedroom Unit 55 sqm A perfect place to get the comfort, privacy and relaxation you need after a very busy day at the office, this one bedroom and one bathroom unit with a contemporary interior comes fully furnished and at a very competitive price. Spacious 2 Bedroom Apartment Sukhumvit 220 sqm This elegant and spacious apartment with two bedrooms and three bathrooms is available for rent at a competitive price. A delux home perfect for providing privacy, comfort, and enjoyment for a small family. Enjoy the perks of living in this high-end apartment with the fantastic amenities they provide for all their residents. Upscale 2 Storey House Nana 4 Beds 400 sqm Located at the residential part of soi Nana, this very elegant and upscale two-storey house with four bedrooms and four bathrooms is definitely fit for your lavish lifestyle. It has a classic and elegant interior, a spacious living room, and a fantastic swimming pool where you can relax, do some laps and enjoy the sun. 3 bedrooms 263 sqm luxury condo Sukhumvit BTS This is a very classy luxury apartment furnished in a neo-colonial style with a restful, elegant decor and cool spacious balconies to add the space you need to truly relax at the heart of the capital. Luxurious 2 Bedroom Unit with Great View 85 sqm This luxurious two bedroom unit is located on the 21st floor of a 32-storey building giving you an excellent view of the city of Bangkok. It comes fully furnished with several amenities available such as a swimming pool, a fitness room, a library and a garden to ensure your comfort and enjoyment. 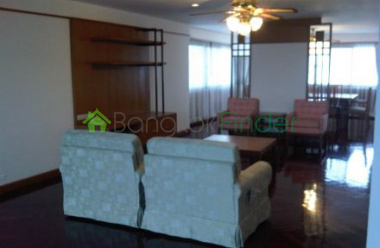 2 bedrooms 120 sqm Nana BTS rent condoThis is a well-respected property popular among expats looking for comfort, quality and convenience, all of which happily come with the territory. 2 bedrooms 98 sqm Nana BTS Rent CondoIn a mature and quiet residential neighborhood, you have a very elegant condo at your disposal with great views and lots of space for kids to study and spread out as well as a generous dining area and excellent open plan kitchen too. BTS condo 2 bedrooms 82 sqm Nana A spacious luxury condo in a quiet mature residential area, but within very close proximity to the dynamic attractions of the neighbourhood, including entertainment, restaurants, shopping and much more. 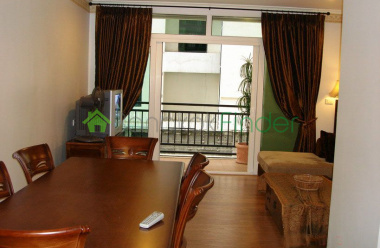 3 bedrooms 120 sqm Nana BTS The Central Business District extends to this safe and mature part of the capital and the location also provides very favourable access to expressways, the BTS system and of course a huge selection of amenities from great restaurants, fascinating nightlife, to first class hospitals and international schools. 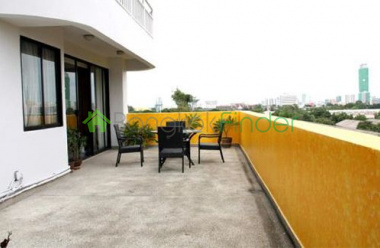 4 bedrooms 368 sqm Soi 11 Sukhumvit condo This is a very impressive condo for rent covering a very generous 368 square metres and affording a luxurious home in a residential soi attached to one of the most dynamic streets on Sukhumvit. 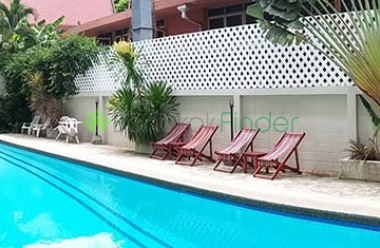 Condo for Rent - Sukhumvit Soi 11 - 2br 2ba Excellent Central Area - Quiet Soi A great and roomy condo with two bedrooms and two bathrooms in a combined area of 88sqm so you can spread out and dine in comfort and enjoy the quiet ambiance on the restful residential Soi. Nice views of the city night and day from your own balcony. 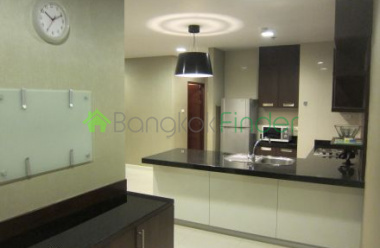 Condo for rent Sukhumvit 3 bedrooms In a perfect location this condo for rent has facilities including four bedrooms with individual bathrooms,one maid's room, one fully equipped kitchen, a huge living room and the condo comprises a massive 365 square metres. Condo for rent 2 bedrooms Suk 11 BTS Very neat and spacious condo for rent with 80 square metres of combined space with two bedrooms and lots of space to spare to relax and enjoy this quiet location. The building - The Prime 11 - is a brand new, very high quality condo residence and just a ten minute walk to Nana BTS station. 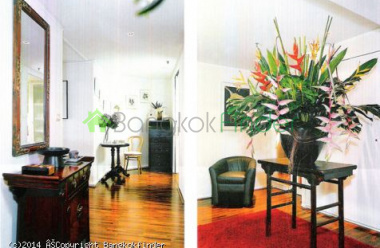 Bangkok condo Sukhumvit Soi 11 2 bedrooms BTS Beautifully finished and handsomely furnished, this is a spacious condo for rent with two bedrooms and two bathrooms, leaving loads of room to relax and spread out at your leisure. Built at the business end of Soi 11, there are many amenities available including restaurants, shopping and supermarkets, and the BTS is only a brisk stroll away. Condo for rent 2 bedrooms Suk 11 BTS City Resort Elegant design and tasteful furnishings give this condo for rent on Sukhumvit Soi 11 a luxurious feel, and the city views night and day transport you away from the hustle and bustle far below this lovely home. Two bedrooms and living area combined cover a generous 87 square metres, so you are never crowded and can have your privacy too. 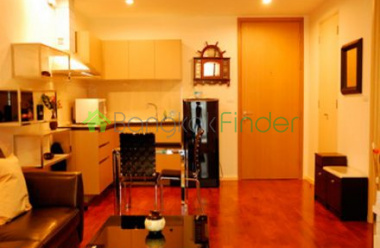 Condo for rent 3 bedrooms Sukhumvit 3 BTS A fantastic condo for rent with lots of space and great light from the floor-to-ceiling windows, you can spread out and relax in style in what is a very carefully finished and perfectly decorated home. 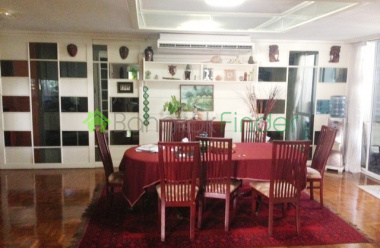 Lakegreen condos 2 bed 150 sqm BTS This is a beautiful corner unit condo for rent and this very spacious, elegant home has a huge terrace with great, restful green views over the man-made lake in the near distance, and the open land comprising Sirikit Park. 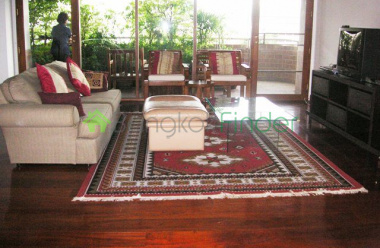 It comes fully-furnished with an LCD TV, hi-fi, washing machine-dryer and a very bright, very quiet living room. 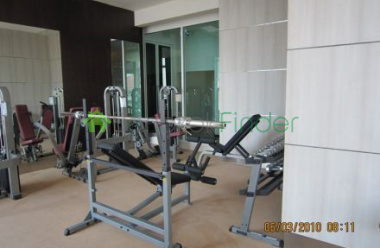 Condo for rent 3 bedrooms Nana BTS This spacious and comfortable condo for rent is located right in the middle of the city's most community-minded residential area on Soi 6 Sukhumvit. It has loads of room covering 142 square metres and a big plus as it has a 80-square-metre roof garden. 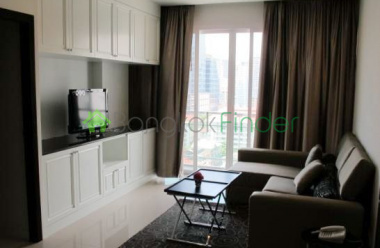 Condo for rent Sukhumvit 15 2 bedrooms 101 sqm A fully-furnished, two-bedroom condo for rent covering 101 square metres meaning there is room to relax in the airy ambience of this city centre home.